The most ancient sciences in the world are Alchemy and Kabbalah, which are the practical, spiritual knowledge hidden in the depths of every great religion and mystical tradition. Modern scientists are only recently discovering what these ancient teachings have always known: that we are a part of a multidimensional universe, and that our Consciousness, our awareness, can expand to perceive matter and energy that are invisible to the flesh. Just as physics and chemistry illuminate our understanding of the physical world, Alchemy and Kabbalah constitute a scientific method to awaken the Consciousness and fully develop the human being, opening the doors to vast worlds that are hidden from the physical senses. This awakening or alchemical birth requires a precise scientific method, for everything that exists depends upon causes and conditions. Hidden in centuries of mystical texts and obscure drawings are the specific instructions that lead towards the opening of their inner senses and the entrance into a higher life. The Philosopher's Stone, the secret of transmuting lead into gold, and many other sacred mysteries long restricted to initiates who had proven their trustworthiness were publicly revealed for the first time by the author Samael Aun Weor. 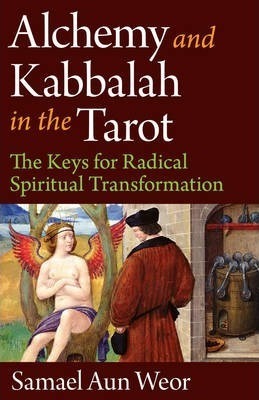 These mystical sciences are hidden in the twenty-two primary Tarot cards, whose origins and precise meanings have never before now been publicly revealed. Now, see for yourself how these ancient traditions are all truly one science. Discover the keys to unlock the mysteries hidden in scriptures, mystical texts, and enigmatic images, and most importantly the mysteries hidden within us.